Readers sent me a couple of these articles which, upon further investigation, seem to be based on a National Post article titled "Egypt's 'crucifixion' hoax becomes an instant Internet myth" by Jonathan Kay. 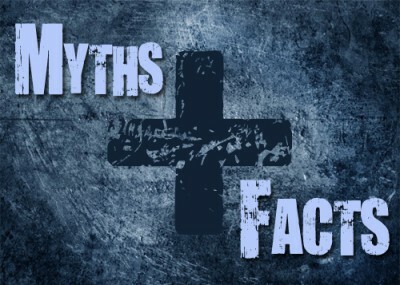 He characterizes the crucifixion account as "a story worth dissecting — not because it's true (it isn't), but because it is a textbook example of how the Internet, once thought to be the perfect medium of truth-seeking, has been co-opted by culture warriors as a weapon to fire up the naïve masses with lies and urban legends." began on social media. It started getting pick-up from there and eventually reached us [Sky News]. Our reporters came across reports of the alleged crucifixions and a story very briefly appeared on the Sky News Arabia website. The story — which was taken down within minutes — was based on third-party reports and I am not aware that any of our reporters said or confirmed anything along the lines of what is quoted in the article… none of our correspondents confirmed this issue or commented on it. One wonders if Kay has ever been around a wild pro-Sharia mob in Egypt savaging its opponents. It's not pretty; the usual instinct is to run for one's life, not take photos and thus further enrage the mob by collecting evidence against them. Likewise, if photos were the ultimate criteria to validate reports, then over 90% of all news stories become suspect for not carrying pictures. Moreover, the reports do not mention any numbers. Yet even if there were, as Kay asserts, "tens of thousands" of people present, that would still say very little. While the world focused on Hamas militants launching rockets from Gaza at southern Israel, the terrorist organization also voted quietly to implement Islamic law in the Gaza Strip, including crucifixion of Christians, according to reports in the Arabic press. The traditional Muslim criminal code, known as Sharia law, includes penalties such as amputation of limbs for stealing and the death penalty, including crucifixion, for actions Hamas deems detrimental to "Palestinian interests," including collaborating with Israel. Hamas members of the Palestinian Legislative Council in Gaza have approved a new bill "to implement Koranic punishments," including hand amputation, crucifixion, corporal punishment and execution. Drinking, owning or producing wine is punished by 40 lashes, while drinking in public adds three months' imprisonment. Several laws are directed against Hamas's Palestinian rivals, including a law intended to inhibit non-Hamas negotiators by sentencing to death anyone who was "appointed to negotiate with a foreign government on a Palestinian issue and negotiated against Palestinians' interest." Raymond - you will be interested in my overview of this issue in Clarification about Crucifixions at http://wp.me/p1Y1yB-1TZ. Thank you for your work.